SCT2008 series connectors are replacement of Molex 2.0mm pitch wire to wire Series connectors..
Scondar offers SCT2008 Series as replacement and cheaper alternative of Molex 2.0mm pitch wire-to-wire connector in a complete package including the male housing, female/receptacle housing, female terminal and male terminal, all manufactured with precision-fitting and durability ensuring accurate mating. Intendedly manufactured for combining both flexibility and reliability, the 2.0mm pitch wire-to-wire connectors are equipped with a friction lock and crimped-style lock mechanism for safe fastening and removal of the wires from the board. The crimps are well engineered to be air-tight, preventing oxygen and moisture from reaching the metals, causing corrosion. Thus, the connector can be easily removed from the head without holding the wires. Manufactured with higher infill housing, the 2.0mm connector is suitable for high density and crowded applications, withstanding higher strain and mechanical stress. Utilizing Terminal Protection Assurance(TPA) Technology, Scondar manufactures wire-to-wire connectors with enhancements in its connector housing and contact design, such that mating precision and quality enables self-alignment with 1 mm tolerance in the horizontal and vertical direction without the need for wrenches or tools to correct modular alignment to help prevent connection failure. 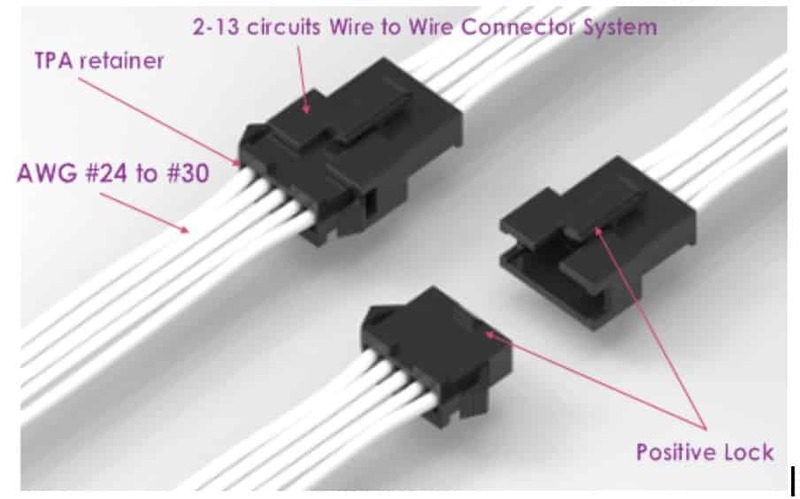 The Molex 2.0mm pitch wire-to-wire connector features a wide-beveled shrouded header that assists in preventing cable connection mishaps and providing guidance for the mating connector. This connector also suits a variety of PCB thicknesses for greater design flexibility and comes in high-temperature housing that meets lead-free processing requirements. The different wire-to-wire connector types are equipped with RMF solutions for lower friction solution between the contacts of the device and the socket, making insertion and removal of the device easier, while at the same time eliminating the need for the complex mechanisms such as in ZIF sockets. Designed to easily integrate into any manufacturing plan for personal controller, gaming consoles, telecommunication, high-end computing and disk drives. The housing components are injection molded Nylon66,UL 94V-0. These thermoplastics are scientifically proven to resist UV-radiation than the normal plastics, ensuring that the connectors are well-protected, reducing the chances of early degradation and increased cycles/minute of the connector subjected to harsh environments. Scondar uses a state-of-the-art tape and reel equipment to package a variety of components. The tape and reel packaging strip has accurately sized cavities for the terminal height, width and depth, securing the them from the environment and maintaining consistent position during transportation. 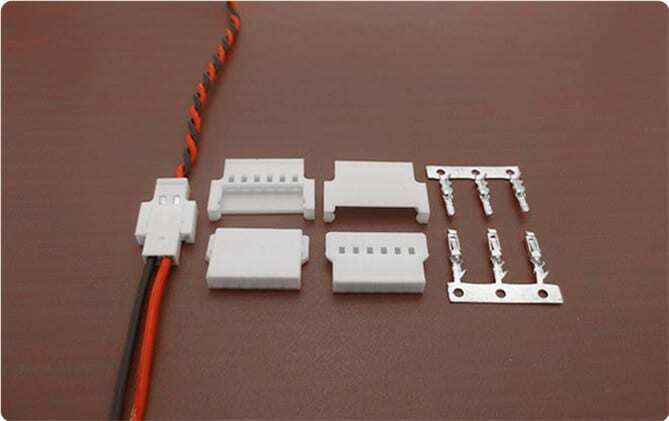 You can expect that your wire-to-wire connector package is undisturbed during the trip and has maintained its vitality even during your production stages, which is why a lot of our customers has raved about our product for both cheaply-priced and, at the same time, resembles the Molex 2.0mm pitch wire-to-wire product.